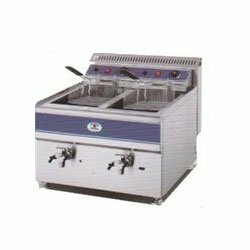 PF007 Potato Deep Fryer - Lifco Technical and Trading Co. This industrial deep fryer is perfect for your commercial kitchen. Utilizing the deep fryers we offer at Lifco Technical Trading Co. can help make your cooking time more efficient and effective in your daily business procedures.